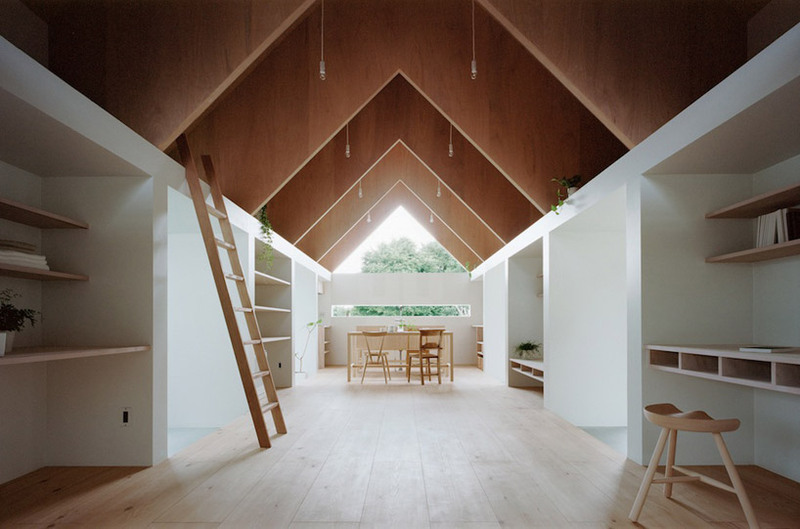 tokyo-based architecture firm mA-style architects extends a typical rural japanese residence to create a separate home for a young couple. 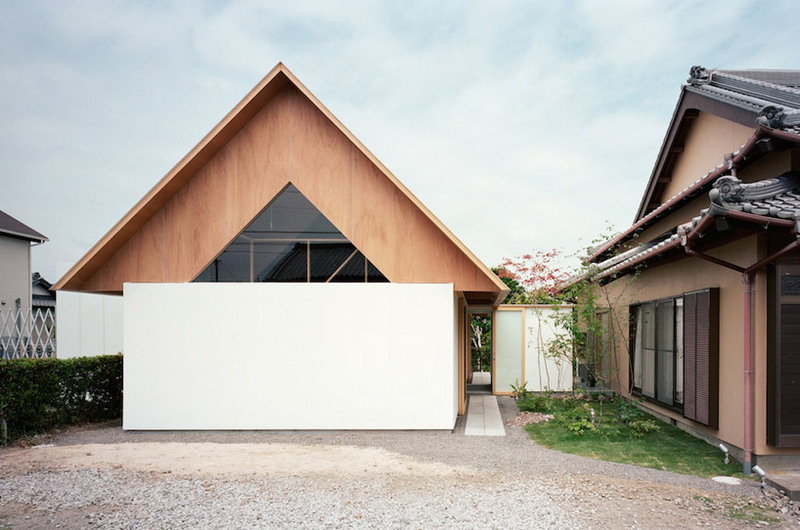 ‘koya no sumika’ is designed for the clients to have their own space for sleeping and spending quiet time, while the kitchen, bathroom, main hosting space and children’s bedrooms remain shared with the main house, reinforcing strong ties to the family. 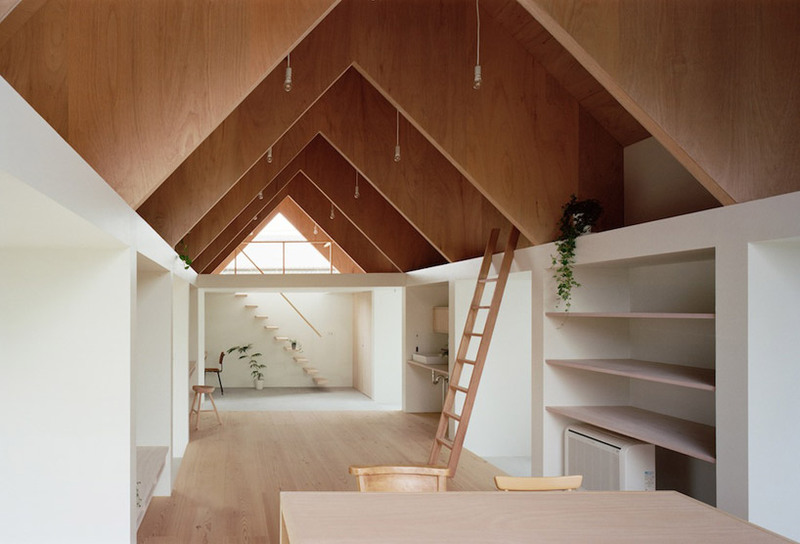 the construction is a single enfilade with a V-beam roof truss that adds height to the single story plan. 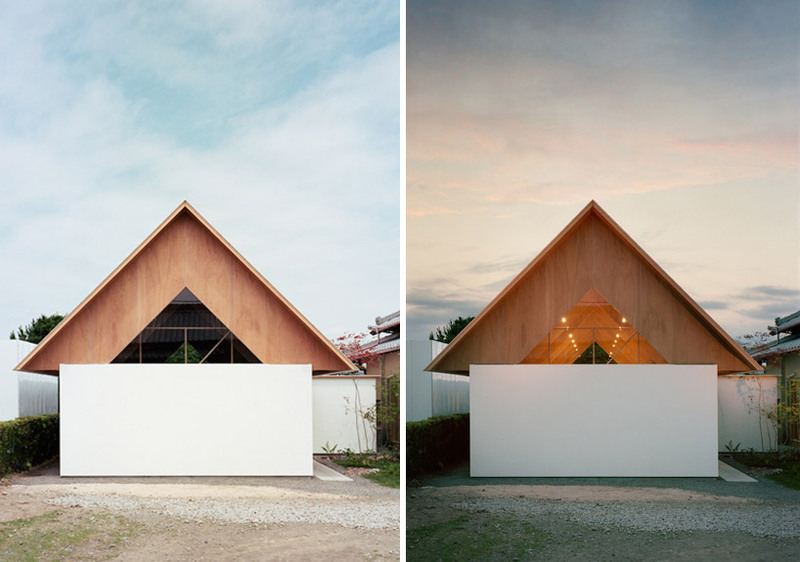 the structure is composed of sandwiched plywood on 62 mm panels layeres with a thin roof on top. 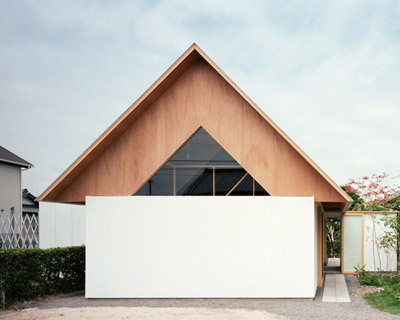 the edges overhang the bearing walls, providing a grand scale to the addition. 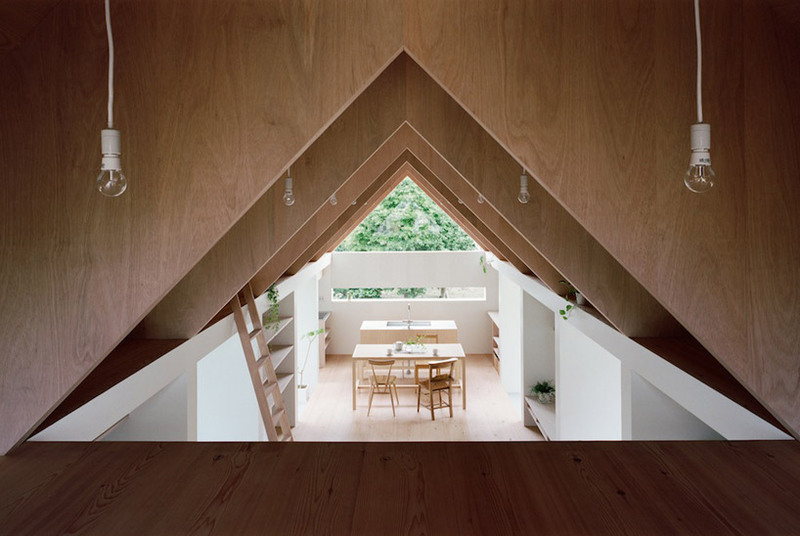 inside, the high peaked roof allows abundant light and air to enter the dwelling. below, study areas and other programs are built into the plan with a variety of finishes that add a rhythm of contrast through the open space. 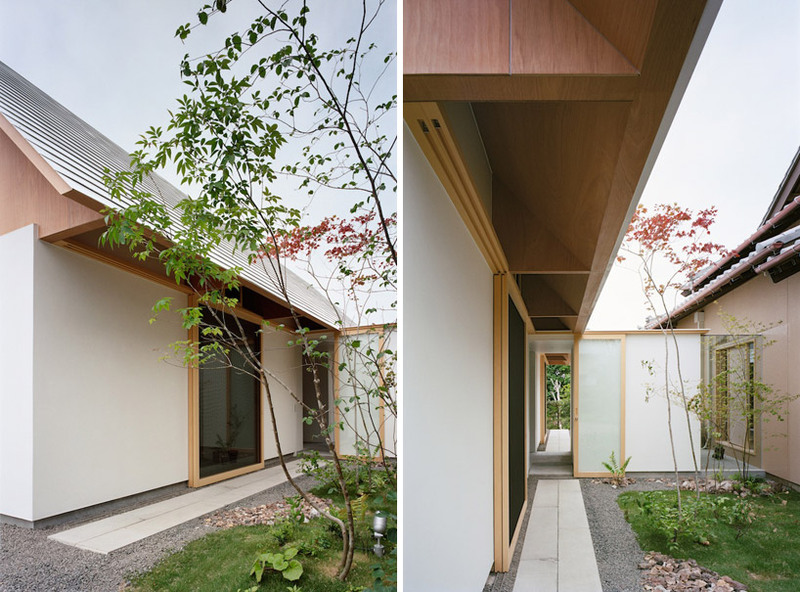 the two parts of the complex are connected by a corridor on the west side, but separated by a garden in the middle. 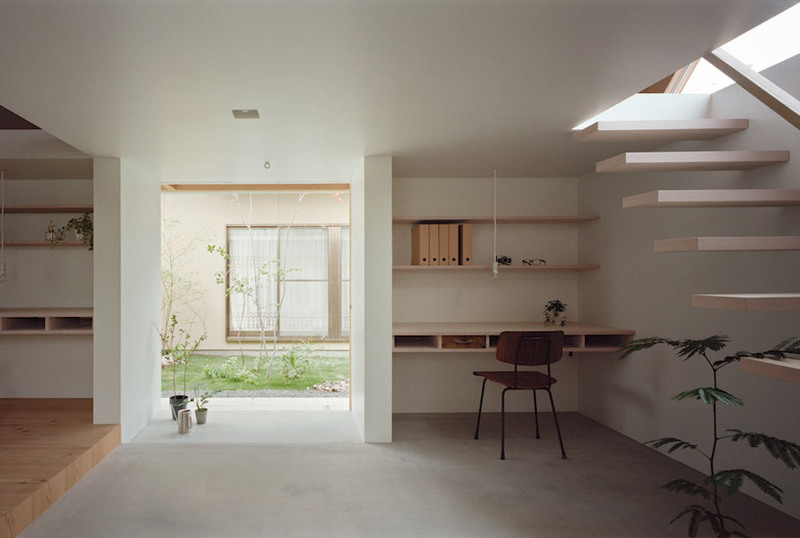 this distance allows the couple to contemplate the role of the two parts of the home, and mentally prepare to switch between them.